Lovely picture. There’s something sweet and hypnotic about seeing rain through glass, though I will say I’m ready for the cold to go away completely. I love the yellow flowers in the corner of the picture. At least, I think I see flowers:) We’re supposed to have a big warm up coming, so I imagine you will, too. Have a great day at work, Christine! I’ve just started using my Iphone for taking photos. Have you downloaded any of the camera apps? I went nuts and bought about a halff dozen in a day. By the way, the little icons that pop up next to our names when we comment here are adorable. 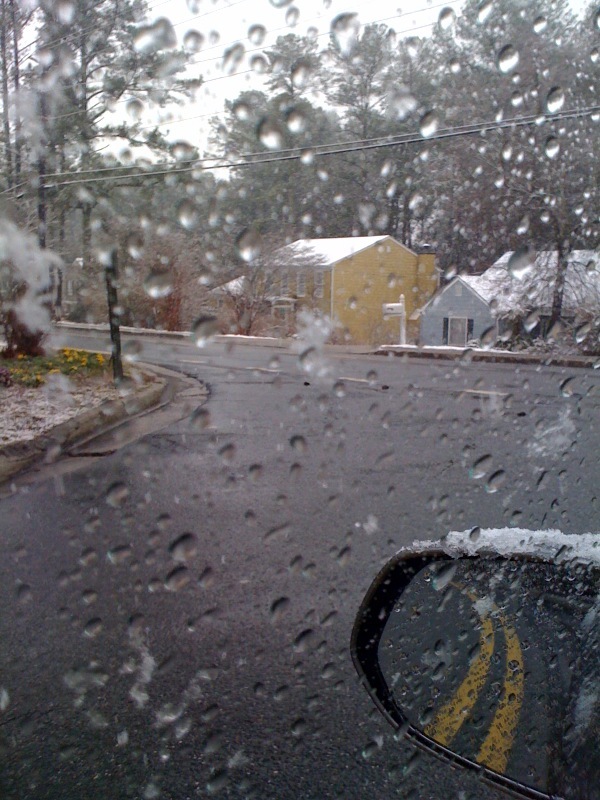 I think four snow/ice events in one winter in Georgia is a record of some kind. It was pretty to watch the snow yesterday.